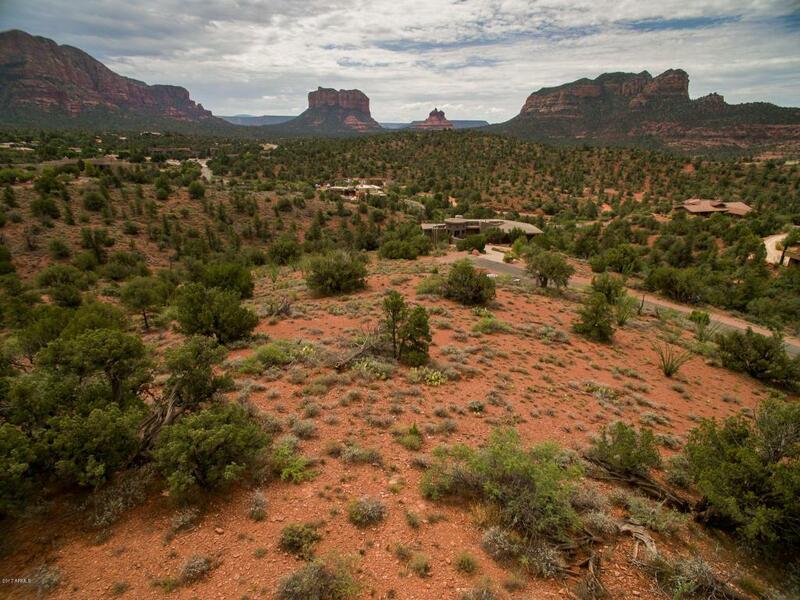 In upscale, gated Back O' Beyond Ranch, this gorgeous parcel is one of the Best Buys in Sedona Real Estate. Spectacular 180 views, spacious, 1.18 acre lot, easy build with a gentle slope, and excellent privacy. It's bordered by a large arroyo on the west side, so no immediate neighbors there. 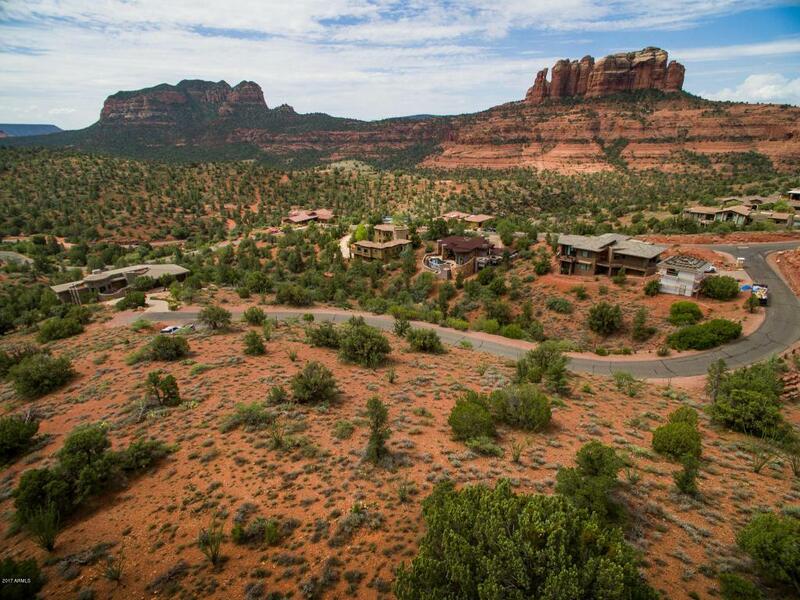 Nicely elevated with fabulous, unblockable views of Cathedral Rock, Castle Rock, Bell Rock, Courthouse, and the Chapel Area formations. Close National Forest trailheads and Oak Creek. 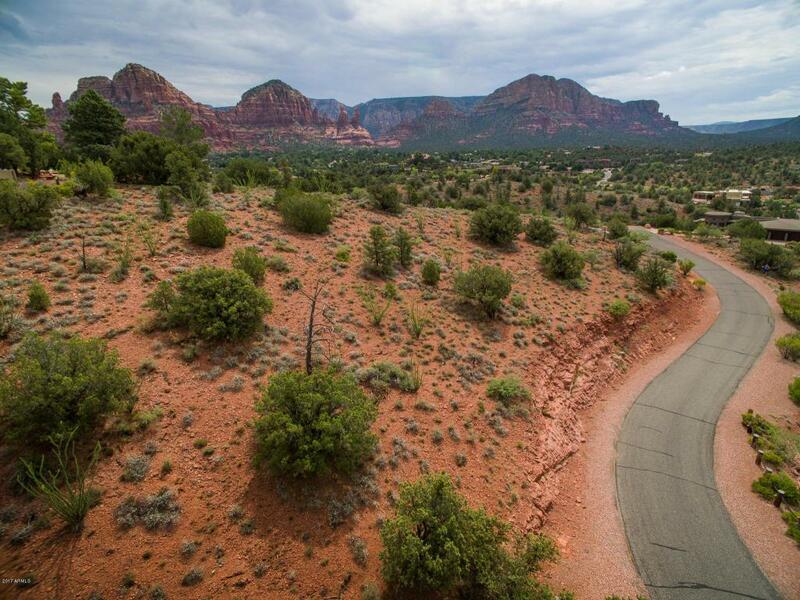 It's everything you could ask for as an ideal location for your new home in Sedona at a bargain price. It's an amazing value. Utilities Installed: None and Utilities Available: Electricity, Natural Gas, Private Water, Sewer (City), Telephone. 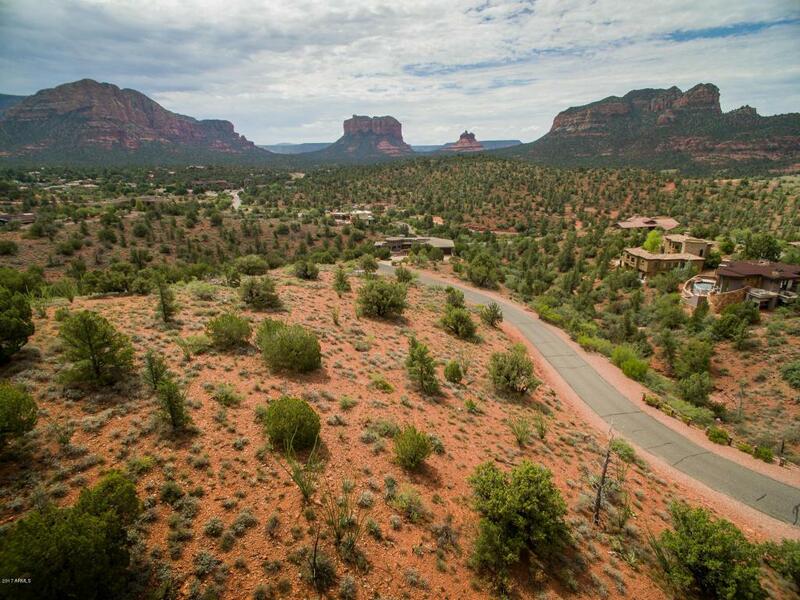 Listing courtesy of Re/Max Sedona.